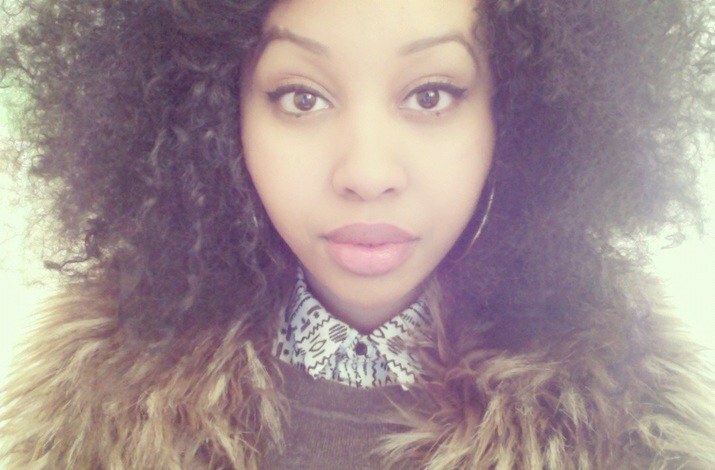 London-based poet Warsan Shire was born into a Somali family in Kenya. She started writing poetry as a child and at 16 gave her first public reading at a poetry slam. She won. Warsan's poetry is stark, acutely-observed and emotionally honest — it tends to connect immediately with a global readership who follows the poet on her two blogs and twitter account. The poetry is also shadowed by war, displacement, and abuse, traumatic experiences which Warsan helps other writers work through in the workshops that she conducts. She is the editor at SPOOK magazine, the author of a book of poetry called teaching my mother how to give birth (2012) and last year produced an album warsan versus melancholy (the seven stages of being lonely). Okayafrica: The success of your poetry seems to lie in your willingness to be vulnerable to your readers; the point of view is very intimate and while not necessarily autobiographical, the emotion in the poems has an immediacy that connects with readers. As a writer, how do you deal with that aspect of writing? Do you actually feel that vulnerability? That kind of emotional honesty might be hard for non-writers to understand. Warsan Shire: I don't care about stigma, shame, or bravado. Writing is cathartic for me, a lifeline. It's about survival and mental health as much as it is about creativity and expression. Vulnerability and transparency is my default setting. I don't try to intellectualise it. OKA: How did you develop such an acute sense of observation (about human nature in particular)? Is it something that came naturally to you or was it something that developed over time? Is that sense of observation perhaps what drew you to write in the first place? WS: I've always been very observant; I'd rather listen than speak. It's overwhelming, the amount of detail I see in really mundane scenarios: strangers touching one another; someone arguing on the phone; a man falling asleep on the train. I'll fill in the gaps of the story myself. In my mind I'll follow them home, I'll imagine their childhood, what their bedroom looks like, if they are in love with someone who does not love them. The downfall is that I give everything (and everyone) too much meaning. Sometimes a thing is vacant and I'll create depth for it; that's not always fair. I don’t know when I first realised that I could eat whatever I want and then vomit it out, the knowledge was stunning and soon everyone loved me more; my mother, my friends, the men in the streets. Beauty is a strange place, a road sign in the distance that you never actually reach. - Written for No Shame Day | an effort to eliminate the stigma around eating disorders. OKA: You’ve said that you wrote your first poem when you were 11 and that it's about Africa. Can you share it with us? WS: I don't have it anymore but I remember feeling very close to my father when he read it; he was so proud. He was fully present in that moment, perhaps I have been trying to recreate that by writing more poems, but it didn't happen again. OKA: How would you describe the evolution of your style - the intimate voice, the evocative imagery & language that characterizes your current work? Is that something you aimed for or did it come about naturally? WS: It's just how I write. OKA: Poetry is very important in Somali culture, was that an influence on you becoming a poet? Do you still draw inspiration from your Somali background or Kenyan birthplace, and in what ways? WS: Poetry is very integral to the Somali culture, it's part of everyday speech, but I have never been to Somalia and cannot say that my heritage directly influenced my becoming career. Obviously my culture, language and faith will affect the way I approach everything, especially writing. I wanted to be a writer, an author, before I was even aware of my otherness. Now being the daughter of immigrants, being the daughter of a country that has been at war for my entire existence absolutely informs my work, but so does a myriad of other things. OKA: You have a huge online presence. How much time does that take up - are you a bit of an addict? How do you juggle that with leaving time for writing? And, how do you see social media — as an integral part of what you do or more as something that's separate from writing poetry? WS: No, I'm not an addict. I sometimes think that technology and social networking sites will be the downfall of us. I'm really interested in dystopia and futurism; I see how the internet has created a society of spectators who are in many ways disconnected from real life/real intimacy and struggle to live in the moment without documenting it digitally for an audience of people they don't actually like. Anyway, I have a couple of blogs - one that mainly recommends film, music and art, and another where I post freewrites, dreams and self portraits. My Twitter is just a stream of free thought and links to music I'm listening to. I don't spend a lot of time on it and I don't see it as a task. Like all the things though, when abused it can be terrible. Without the internet I would not have connected with some of the most beautiful people in my life and I would not have been able to stumble across brilliance in the form of music, film and art. A wonderful poet by the name of Jacob Sam La-Rose (my editor and mentor) told me a few years ago 'Use the internet, don't let the internet use you'. That echoes in my head most days; I navigate through the space very aware of how important protecting myself is. Look at all these borders, foaming at the mouth with bodies broken and desperate. I’m the colour of hot sun on my face, my mother’s remains were never buried. I spent days and nights in the stomach of the truck, I did not come out the same. OKA: What is your favorite memory from childhood? WS: The garden of our first home in North London, my parents are still together, I'm 5, it's summer, we have an apple tree and the apples are small. My mother is sitting with me and my brother, he is 3. My legs are bare and there is an ant crawling up my knee. My mother slices the sour apples into four pieces and lets us rub salt into it. I eat it, squinting from the sun, jaw tingling from the sweet and from the bitter. OKA: What African musicians are you following right now? WS: Just A Band, Laura Mvula, Tumi and the Volume.